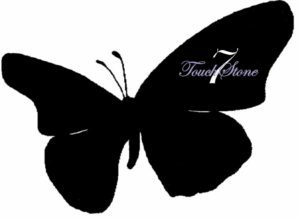 The Problem - TouchStone7, Inc. The foster care system is meant to provide temporary and permanent placement for children who have been abandoned, abused, neglected, or in a situation where there is no adult to properly care for them. These resources include housing, life skills assistance, and money for basic essentials. But, having available resources is not enough. These aging-out youth have to fulfill eligibility requirements to receive these resources. Many websites put a happy face on aging out, but this group of young people are not smiling. Our aging-out youth are being taken out of their foster homes and placed into group homes or homeless shelters that are meant for adults who may have drug problems, mental health issues, or violent tendencies. Housing may be available, but many of these facilities are no place for our young people or have waiting lists that are more than a year long. The greatest risk factors associated with our aging-out youth are homelessness and education cessation. More and more young people are turning 18 while still seniors in high school. Our aging-out youth are having to drop out of school to gain employment so they can avoid homelessness. Our aging-out youth are choosing education but are ending up homeless.